Fun fact: Do you know that Hello Kitty is actually a little girl with a real cat pet Charmmy Kitty? Yes. Hello Kitty is not a Kitty after all. Along with the "Hello Kitty is not a cat" statement (LOL) made by Sanrio earlier, Guardian has partnered up with Sanrio to release a series of Hello Kitty 40th Anniversary Bath and Body Care products. As soon as I know the collaboration, I quickly visit the Guardian eStore. I had experienced good shopping experience with Guardian before (Read here), thus the idea of buying stuffs from the eStore came naturally. I placed my order on 30 August and received it on 3 September. So, lets see what I got for myself! 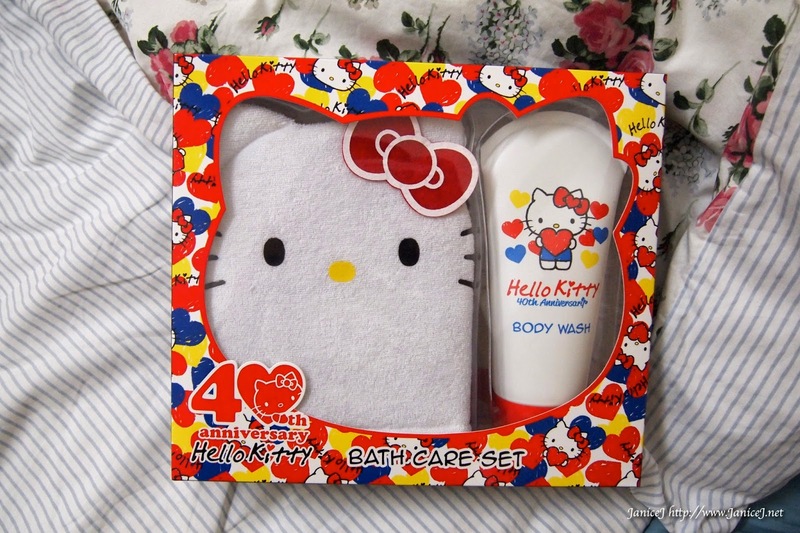 This set came with a cute Hello Kitty mitten and a 200ml body wash. Both items were packed in a paper box printed with the 40th anniversary print. This set made perfect travel companion. It included a 60ml spray bottle, 60ml screw cap bottle and a small 4 compartments pill box. All items are cabin luggage friendly! The set that I wanted the most! There was a nail clipper, a nail file, a pair of small scissors, plastic cuticle stick and two orange stick. Came in a plastic pouch. 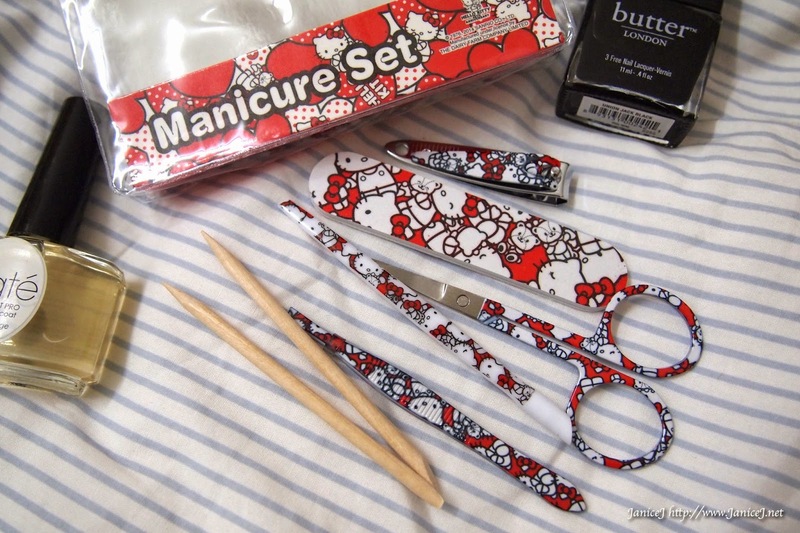 I really love how the cute Hello Kitty prints on the manicure tools. Must have for mani pedi enthusiastic out there! Another super cute set to have. Comes with a pouch that is unexpected big for me, and 50ml body wash, 50ml body lotion plus a 50ml body scrub. Also, cabin luggage friendly! The cosmetic case was made from Pu leather if I'm not mistaken but the quality is good enough for the price of the set. Well, saving the best for the last! I loves how the vanity bag feels. It did not feel like something of its price. It gave me like items bought from Isetan / any other Sanrio licensed products. The bag itself is spacious enough for all your needs. 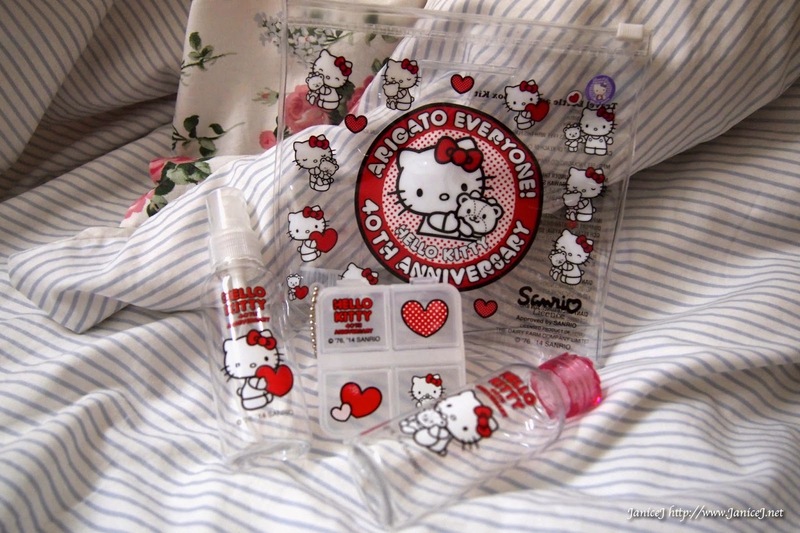 The set comes with one 100ml body wash, 100ml body lotion and a Hello Kitty Bath Lily (LOVE!). Alternately, you can also get the Hello Kitty Bath Lily at RM8.90. Despite of my obsession towards Hello Kitty, there were still some from the series that I did not get. Pretty isn't it? I'm so tempted to get all of them. But before than I will have to clear out some spaces from my mighty room first. The Hello Kitty 40th Anniversary Collection will also be available in all Guardian stores. Hands on yours before it gone! You may also get these cute kitties from Cold Storage! They even have more varieties compared to Guardian Yay! Check out also their nail polished set! Comes in one white, one pink and one transparent 3ml polishes with a Hello Kitty nail file. Loves isn't?